PERFECT BEACH GETAWAY! Recently remodeled! Beach access right across the street! Enjoy your own beach place and rent it out when you're not using it. Great rental income! Fully furnished, turn key...just bring your swim suit. Small pet ok! Many newer items: Bldg B's roof, pavers, fence, most of the contents. In 2015 both sewer lines replaced. Additional $65/mo is for $25 for cable svc and approx. $40/mo for electric. Well maintained community with sparkling pool, pavered patio, storage, coin operated laundry room. LOTS of parking on 3 sides of the property. 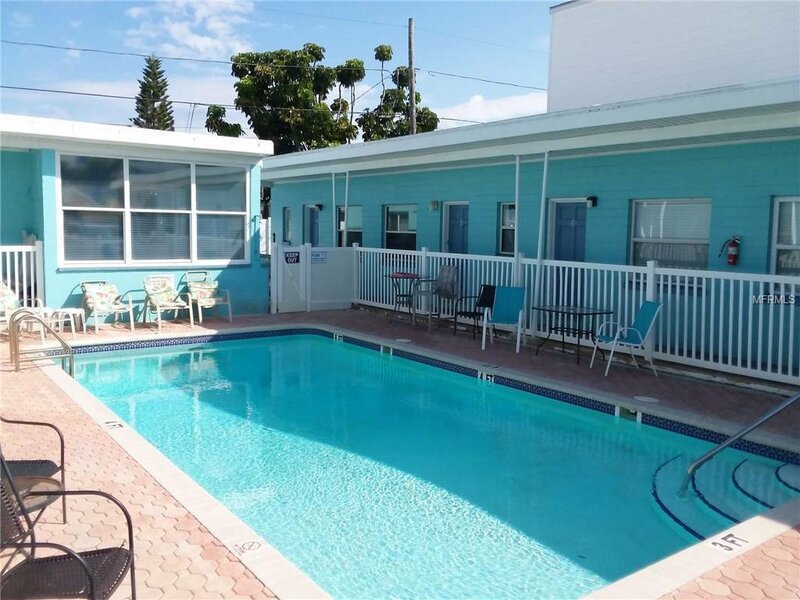 Only a couple blocks from famous waterfront boardwalk John's Pass Village featuring: shops, restaurants, boat rentals, deep sea fishing charters, dinner cruises. Easy access to public Intracoastal access too. Enjoy Madeira Beach's small town atmosphere with community events, weekly open-air market , new waterfront park with baseball fields, tennis courts, basketball court, leash free dog park, fun activities and concerts! Close to shopping, grocery stores, entertainment, Pinellas bike/walking Trail, schools, Bay Pines VA Hospital. Listing courtesy of LIZARD REALTY. Selling Office: BELLOISE REALTY.